Halloween is around the corner and me and Mr. B decided this year to make most of our props for our annual Halloween party. We chose the Carnevil theme because we both like clowns and think they are really scary. 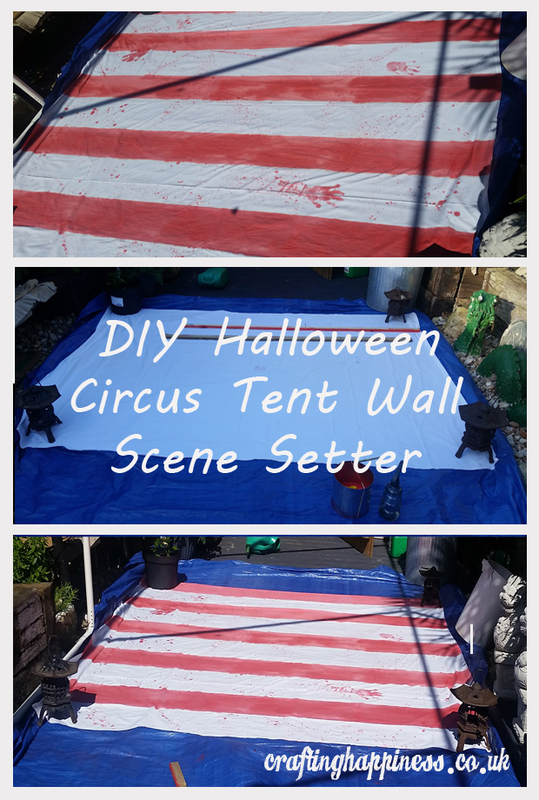 I looked online for scene setters but most looked really childish or they were really expensive so I decided to create the circus tent walls by myself as well. This is going to be a really quick and easy tutorial you can complete in one afternoon. 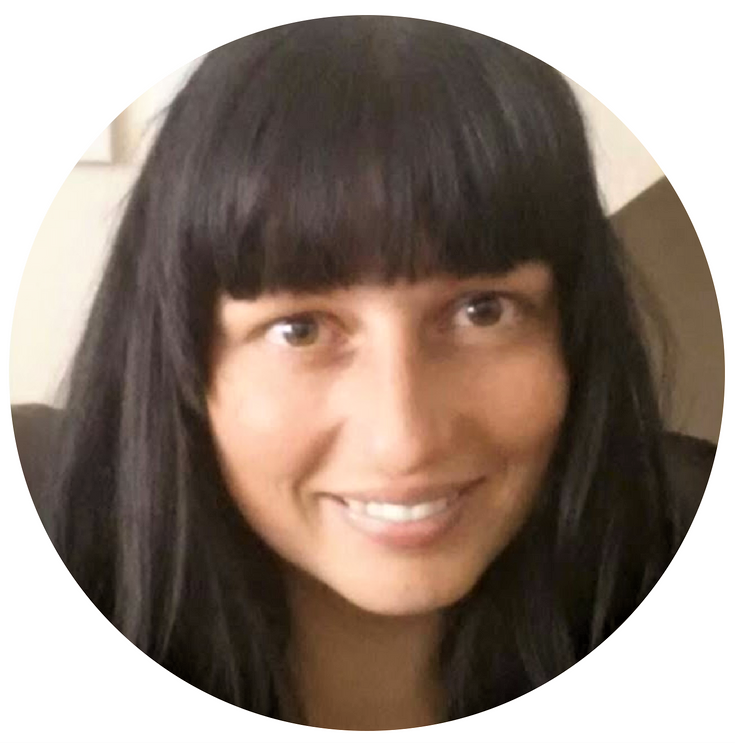 This post has affiliate links, you can read all about it here. 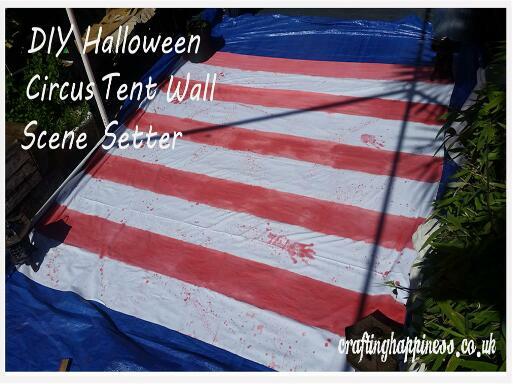 It is important to get white or off white bed sheets because the tent fabric is basically red and white. Besides, it's so much easier to paint red over white than the other way around. I found some cheap bed sheets at a yard sale, but you can get yours from Ebay or Gumtree or similar websites. I am fortunate enough to have a back garden but you can do it anywhere you have enough space to lay down the sheets straight. I placed the tarpaulin on the floor first so I won't stain the decking, then I placed the bed sheet and secured it at the corners so it will stay straight (it gets pretty windy in UK even on a sunny day). I used the 2 pieces of timber as a guide to paint the straight lines. Place the first one parallel with the edge of the fabric, then place the other one parallel with the first piece of wood. I made my stripes 23cm wide, don't ask why, the OCD person in me wished I would have made them either 20cm or 25cm or any number increment of 5. Anyways, you should make your stripes as wide as you need them to be so it will look good and realising on the area you want to cover. I am planning to cover an entire wall and chose the width I felt will look better on a large wall. I used kids craft paint, the kind you buy in half a litre bottles for a few pounds, but any paint will work. 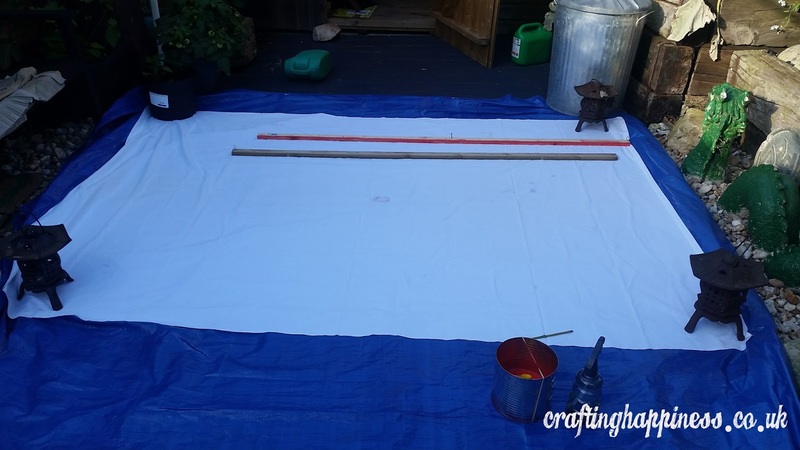 Use the spray bottle to wet the fabric before painting it, that way you won't use too much paint. It also makes it look used and shabby, like an old used circus tent wall. 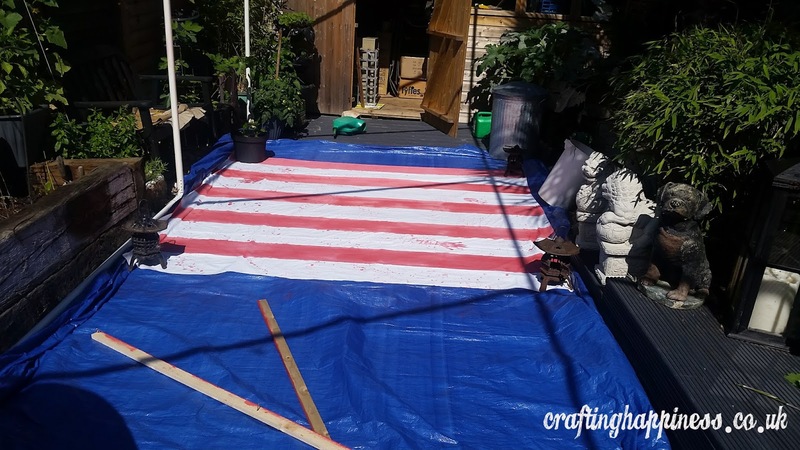 Paint your first stripe then move the pieces of wood to create the next stripe. 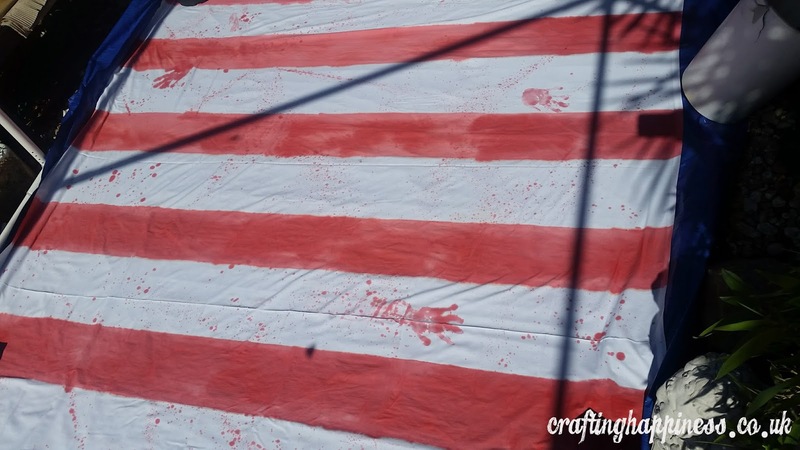 I then used the brush to splatter some paint over the sheet to mimic blood and also made a few hand prints on it to make it look creepier. Hung it to dry for a couple of hours and, if you wish to make it look even more shabby, drag it on the floor, preferably on a dusty dirty path. My garden is all decked so no luck there.